The NuMax SFWS Pneumatic 20-Gauge 9/16″ Fine Wire Stapler is ideal for applications such as upholstery, screening, insulation, house wrap, roofing felt, picture frames, and hobbies and crafts. 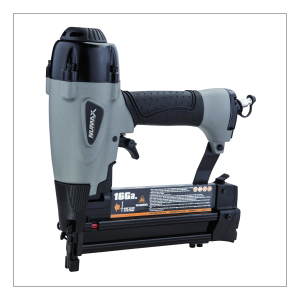 This air powered staple gun is compatible with 20 gauge 3/8″ fine wire staples from 1/4″ to 9/16″. The ergonomically engineered body results in a balanced and lightweight tool great for extended use over long shifts, and the comfort grip handle reduces fatigue while increasing control and accuracy of staple placement. An air filter / anti-dust cap keeps the interior components free from dust and debris, extending the life of this rugged stapler. A no mar safety tip eliminates damage to your working surface, ensuring fast and easy professional results for DIYers at home as well as construction contractors at the job site. 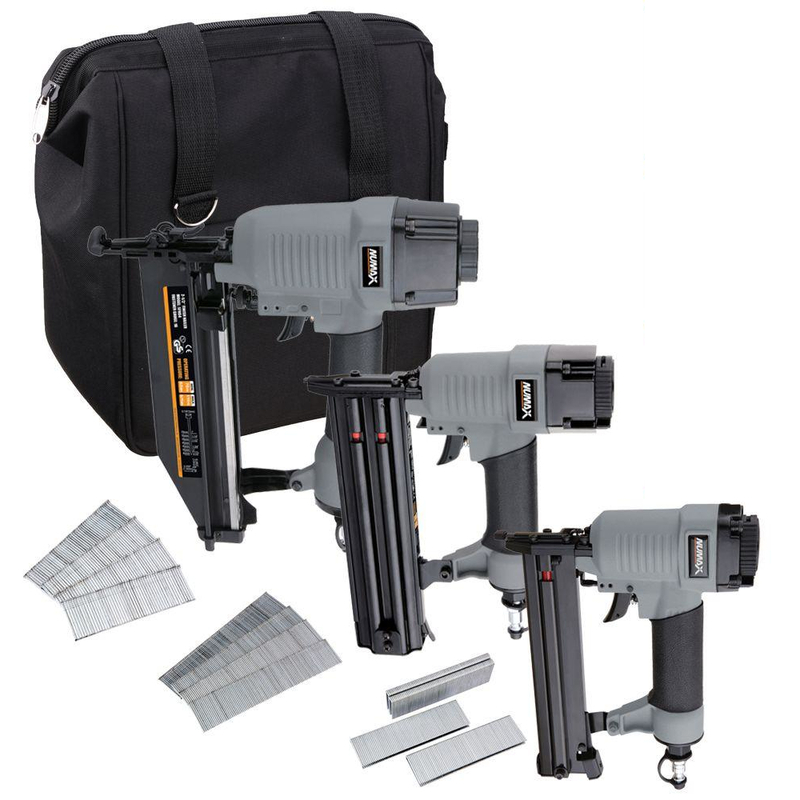 The Pneumatic 20-Gauge 9/16″ Fine Wire Stapler includes air tool oil and adjustment tools, and is covered by NuMax’s 1 Year Limited Warranty and 30 Day Wearable Parts Warranty. 8.75" x 2.25" x 7"
20 Gauge Glue Collated 3/8" Crown Fine Wire Staples from 1/4" – 9/16"